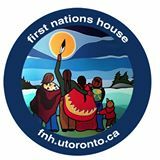 First Nations House (FNH) provides a number of academic and personal support services for University of Toronto students. FNH is especially honoured to have elders provide support, guidance and traditional teaching to students, staff and faculty. Indigenous Physicians Association of Canada (IPAC) holds a vision of healthy and vibrant Indigenous nations, communities, families and individuals, who are supported by an abundance of well-educated, well-supported Indigenous physicians working with those who contribute to the physical, mental, emotional and spiritual well-being of our peoples and communities which has a positive impact on the social determinants of health. The National Collaborating Centre for Aboriginal Health (NCCAH) is a national Aboriginal organization established to support First Nations, Inuit, and Métis public health renewal and health equity through knowledge translation and exchange. In response to the needs of our communities and informed by our research activities, the NCCAH identified three key priorities for their knowledge-sharing work. First Story Toronto has been engaged in researching and preserving the Aboriginal history of Toronto. It shares this history through a variety of initiatives including an online and mobile app ‘First Story’ which maps the Aboriginal heritage and community of Toronto. GEet the app: smartphone/android or iOS. Native Canadian Centre of Toronto (NCCT) offers a wide range of programs and services based on Indigenous cultural traditions and teachings. All are welcome. Anishnawbe Health Toronto provides Traditional healing within a multi-disciplinary health care model. They include Traditional Healers, Elders and Medicine People, Physicians, Nurses, Chiropractors etc. The model of health care at Anishnawbe Health Toronto is based on our culture and traditions.